Dazed & Confused have spearheaded the house and techno scene in Gibraltar for the past few years. 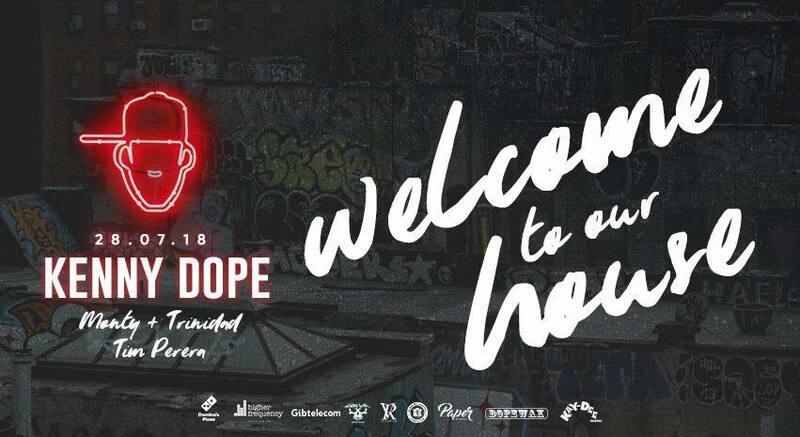 The likes of Cassy, wAFF, Binh, Secretsundaze and Onur Ozer have all performed at their illustrious outdoor shows, however on July 28th, arguably their most famous booking of all lands on the rock in that of Kenny Dope. The legendary Brooklyn producer will debut on the Island providing a plethora of sublime house cuts. To get a feel for the Dazed & Confused team, here they pick out their top 5 moments from their parties to date. This was special for us as it was our first big party and we learned a lot of valuable lessons, loads of things went wrong behind the scenes, apart from Giles Smith’s vinyl’s warping because of the heat, we managed to sort everything out, and kept the party rocking. Dazed & Confused was only meant to be a one off thing, we had spoken about throwing a party loads of times, we finally decided to do it, and became the start of something very special. We booked Bobby O’Donnell and Annie Errez from the mint club who were good friends of ours from the Leeds days, and completed the line up with some of the best local talent around. Don’t think many people had heard of the bookings before, but had a lot of faith in us, the party sold out a month in advance, and on the day we had people offering to pay up to £100 at the door to get in. If you’ve had the pleasure of being up there, you will know it’s probably the best venue in Gibraltar, sitting at the top of the rock, you can party whilst watching the sunset over the bay, looking at 3 countries and 2 continents. 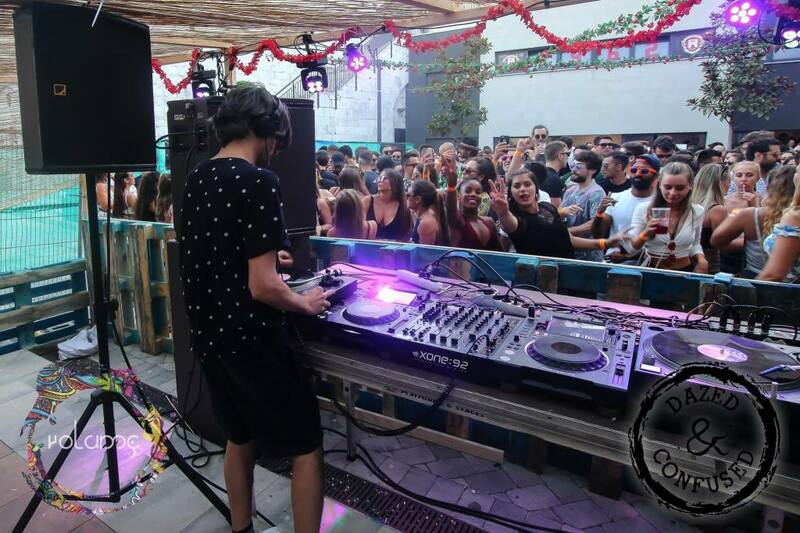 Apart from the venue, everything on the day was on point, the music, the sound, and the people, there was such a great energy in the room, and quite possibly Baikal played one of the best sets to ever be played at one of our parties. Mark’s a great DJ and a lovely person; we’ve become good friends over the years and had the pleasure of bringing him back to play. After all the chaos from the first year, we went back for the 2nd instalment well prepared. Was great to have wAFF over, who’s a mate of ours from our uni days. He was well up for it, and came to make a statement, was meant to be playing the closing set, which was 2 hours, he ended up playing 4 hours, which meant we went 2 hours past our curfew and police had to come in shut us down. He then went down to the after party and played for another 5 hours b2b2b with Citizenn and our residents. This was a funny one; we threw a party at a villa in one of the most prestigious areas in the South of Spain, Sotogrande Alto. In order to convince the owner to rent it out to us, we told them my sister was getting married and I wanted to throw a surprise engagement party for her, little did she know was going to happen in that house. Party Started on Maundy Thursday and didn’t finish till Easter Sunday, the place was absolutely trashed, we had to pay like £3000 in damages, and it wasn’t a very pleasant experience facing the owner after a 4 day bender. Although was an amazing couple of days and as they say you can’t put a price on happiness, Sam if your reading this we ‘re really sorry, your house rocks, much love.